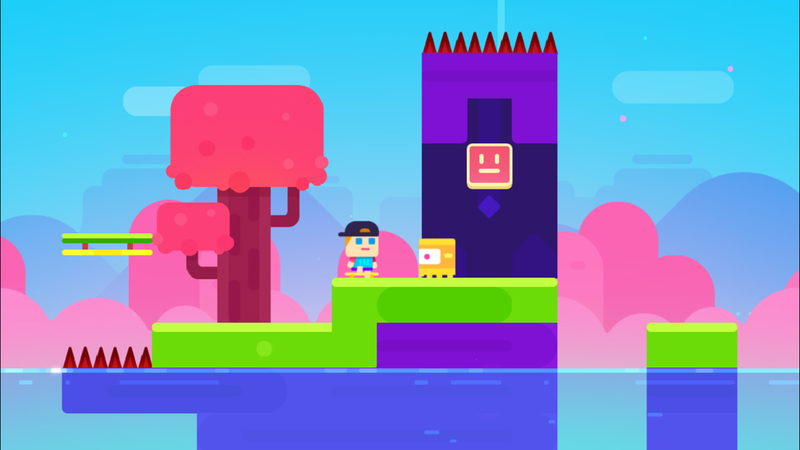 Hello gentle readers, and welcome to the SwitchArcade Round-Up for March 25th, 2019. We’re kicking off what promises to be one heck of a week for new releases, with the likes of Final Fantasy 7, Yoshi’s Crafted World, Nelke & The Legendary Alchemists, Gods Remastered, and many more all just hanging on the horizon. April is going to be an outstanding month, but March isn’t going out quietly at all. As for today, I’ve covered the usual new releases and sales, a few news items, and have written a whopping three reviews for you to check out. Let’s get our hands dirty and see if we can’t come out clean anyway! 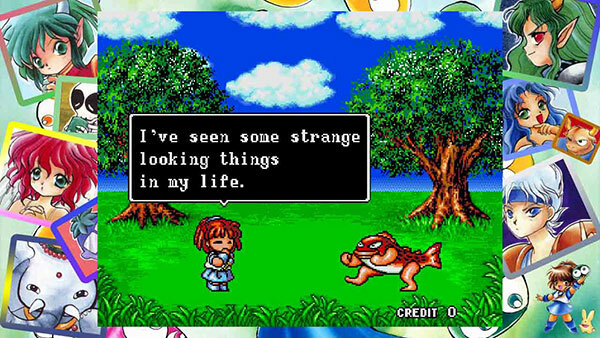 It’s been a long wait for the next installments of the SEGA AGES series in the West, with the rumored February release date for Gain Ground and Puyo Puyo long since come and gone. 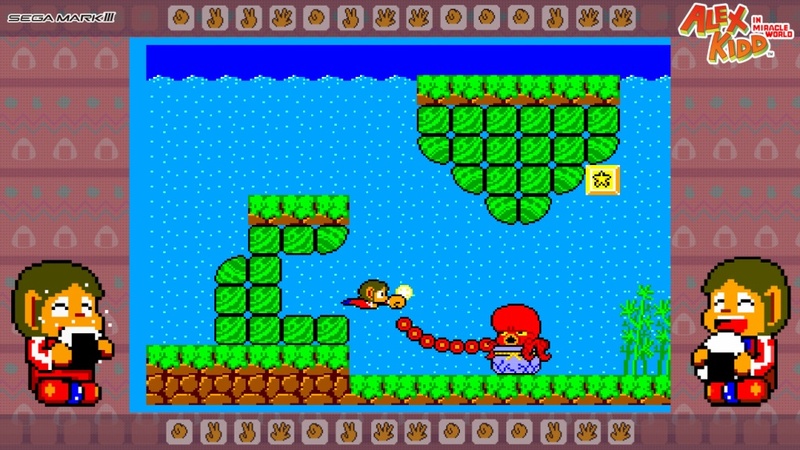 Just when it looked like yet another month would pass without a release, however, both Gain Ground and Alex Kidd in Miracle World have suddenly appeared in the eShop for a March 28th release. That just about catches the West up with Japan, so hopefully the schedules will align a little more closely in the future. I’ll have a bit more to say about both games once they’re out, of course. Each game costs $7.99, just as previous entries have. Yes, the Western releases almost caught up. But then out of nowhere, boom, a wild Puyo Puyo appears on the Japanese schedule. Also due on March 28th, this spiffy version of the classic will include online play and the rare English version of the game, which makes sense given it’s meant to come out worldwide. I’ll have some impressions of Puyo Puyo for you all after I spend a couple of days with it, but if you have a way of getting Japanese eShop credit and have a Japanese Nintendo Account, nothing is stopping you from getting it yourself. The price with tax should come up to just under 1,000 yen, or about $9. There’s a good chance you’re familiar with Super Phantom Cat through its origins on mobile. In case you aren’t, this is a fairly straight-forward side-scrolling platformer where you play as a cat that can make use of special powers to progress through levels. Your main aim in each level is simply to reach the end, but there are lots of secrets to find along the way. Hidden characters, extra coins, and other goodies await those with keen eyes and sharp instincts, and you are almost certainly going to have to replay stages to find everything. Note that this is not exactly the same game as the mobile version. The levels and powers differ to varying degrees, so you’ll find some new things to discover even if you know the original game well. There are 35 stages in total, spread across 5 different worlds. 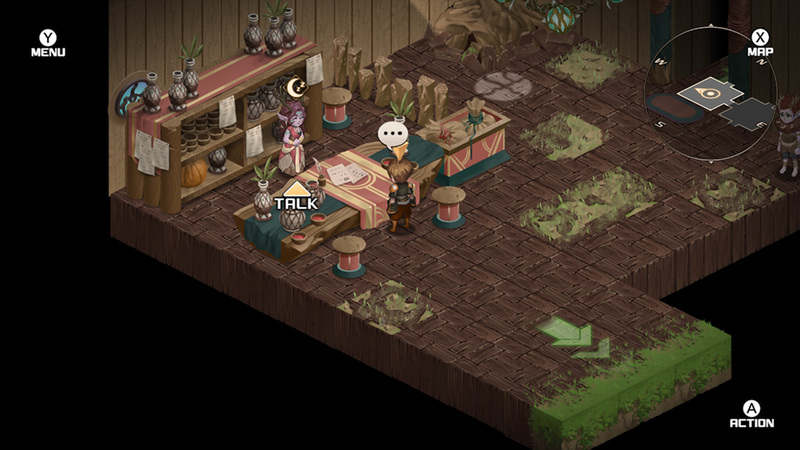 Provided you dedicate yourself to sussing out secrets, you’ll find the stages to be quite well-designed on the whole. Almost any place you think there should be a secret waiting for you, there is. Apart from the occasional invisible wall, these stage designs are pretty good, offering a fair amount of complexity without losing the sense of an intuitive path through. The temporary powers give the stage designers room to create lots of unique challenges and situations, keeping the action fresh through to the end. And it is quite fun to find secrets and unlock new characters, even if most of them aren’t exactly the stuff of legends. Sadly, I’m less thrilled with some other critical aspects of Super Phantom Cat. The controls usually behave themselves, but sometimes a jump comes up short without it being terribly clear as to why. The collision around enemies can be a little fussy in some cases, too. The game is generous in terms of how many hits you can take, but it’s still frustrating when you miss something you should have easily landed. 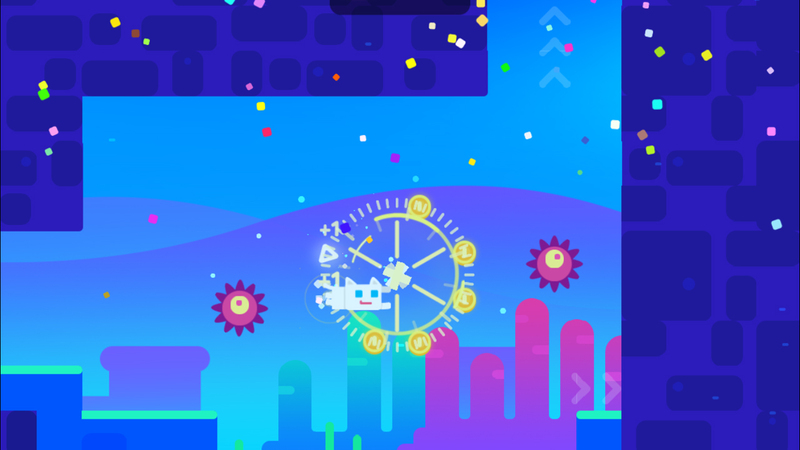 There’s a brief bit of load time before entering each stage which becomes a lot more irritating if you’re having trouble, as running out of hearts or falling down a pit gives you a Game Over and sends you back to the map. That means, of course, that you have to sit through the load time again when you want to jump right back in. It’s also a bit grindy. You’ll collect coins as you play through the stages, and those coins can be used to buy items from a shop accessible from the map screen. I can’t imagine buying anything other than keys, however, as every item is quite costly and you absolutely need keys to open the special chests scattered about the levels. You’ll never earn coins as quickly as you’ll need to spend them on keys, and it’s a terrible feeling to find a secret that turns out to be a chest you can’t open. Not only does it keep you from a full completion of the level, but getting nothing when you expect a reward is a serious bummer. So you’ll have to grind, grind, grind away on those coins to avoid facing this tragedy. 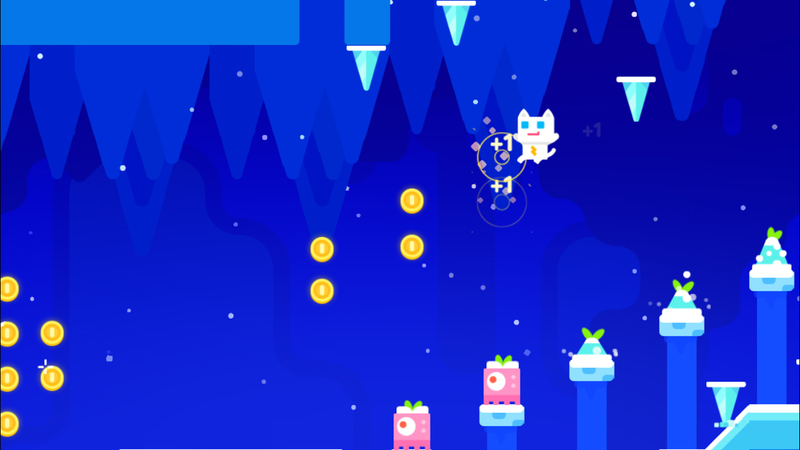 Super Phantom Cat: Remake is a decent platformer with some fun level designs. Unfortunately, a few problems drag down the experience to the point that I can’t strongly recommend it. At the right price, a platformer fan will probably have a good time with this, but given the level of competition on the Switch in this genre, I can’t imagine this game is going to find itself at the top of many gaming queues. It’s more average than bad, but I’m not sure if that’s really enough given what it’s rubbing shoulders with. 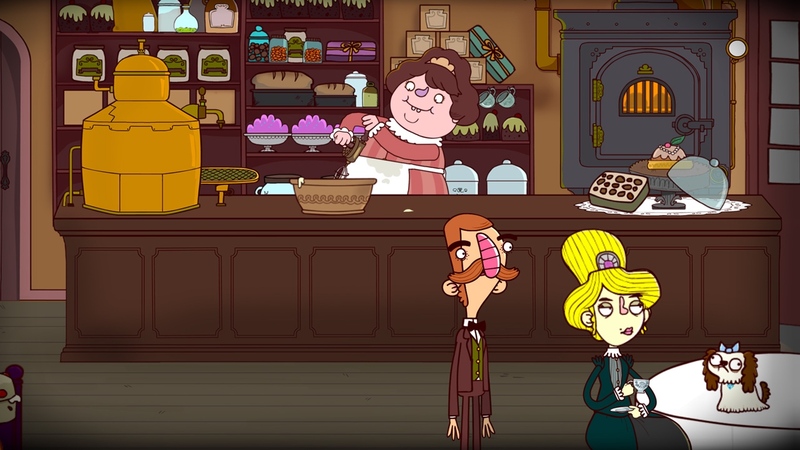 I’ve written about a number of puzzle games from developer Lightwood Games in the past, and it’s getting a bit hard to find anything new to say about them. They’re good, simple, honest puzzle games that give you a bunch of content stuffed into a spartan but not unpleasant presentation. Block-a-Pix Deluxe is the latest, and like many of the developer’s games this is a giant pack of logic puzzles that sees you making deductions using hints in order to create a picture. The gimmick this time around is that you’re making blocks rather than filling in dots, something that in theory should make for a simpler sort of puzzle but in practice can be just as devilish as anything. 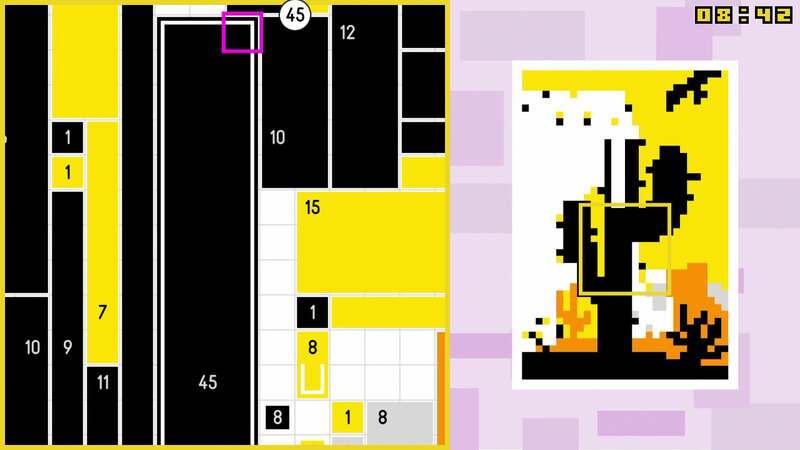 Each of the game’s 120 puzzles presents you with a bunch of colored squares with numbers in them, arranged on a grid. The size of the grid varies, and the bigger it is, the harder the puzzle is going to be. You can extend the size of the squares horizontally and vertically, but they’ll always form a line, square, or rectangle. The number inside the square tells you how many spaces it should cover. If the number is four, for example, you’ll have to make a square or a four-square line. But which direction should it go in? How can it fit together with its neighbors? It’s all very stress-free and you can even hit a button to make the game tell you if you’ve made any errors, but it’s enjoyable and engaging enough to pass the time with. 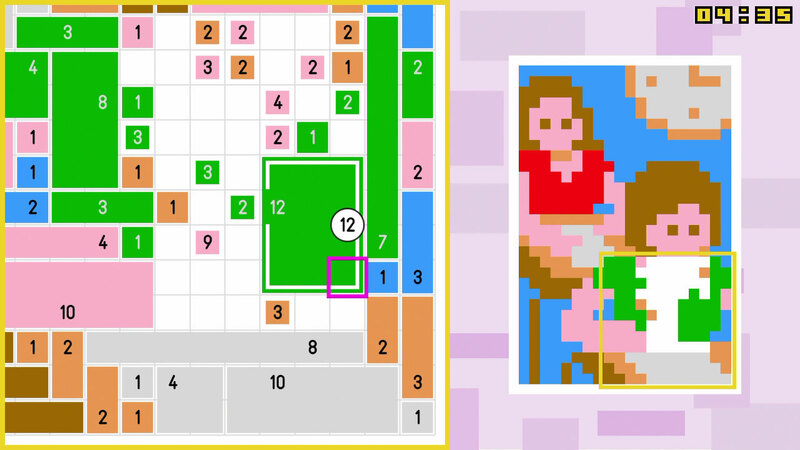 If you enjoy logic puzzles, particularly ones where the result is a picture, you’ll probably like Block-a-Pix Deluxe. It will certainly keep you busy for quite a while, as the larger puzzles can take around an hour or so to untangle. The only things holding it back are its rather plain production values and the fact that it doesn’t do much to stand out among the many games of its type that can be found on the Nintendo Switch. Still, if you’re a logic puzzle fan on the hunt for something to fill your time, this is as good as choice as any and it’s hard to argue with the price. I hate to keep banging on the same old drum, but the Switch is reaching a point where certain genres aren’t just saturated in general; they’re saturated with excellent content to the point that the average person probably doesn’t have time to play through the cream of the crop, let alone anything below that line. 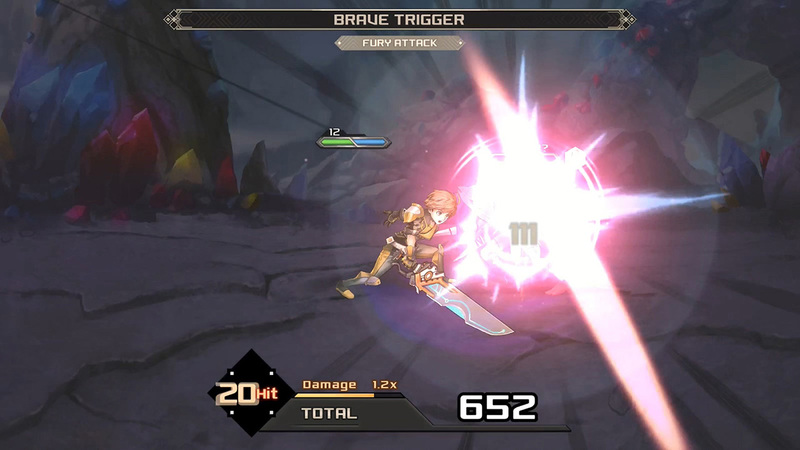 On another system, in another time, Azure Saga might have been a must-have JRPG-style game. In 2019 on the Switch, it’s a solid effort in a genre populated by some truly incredible titles. 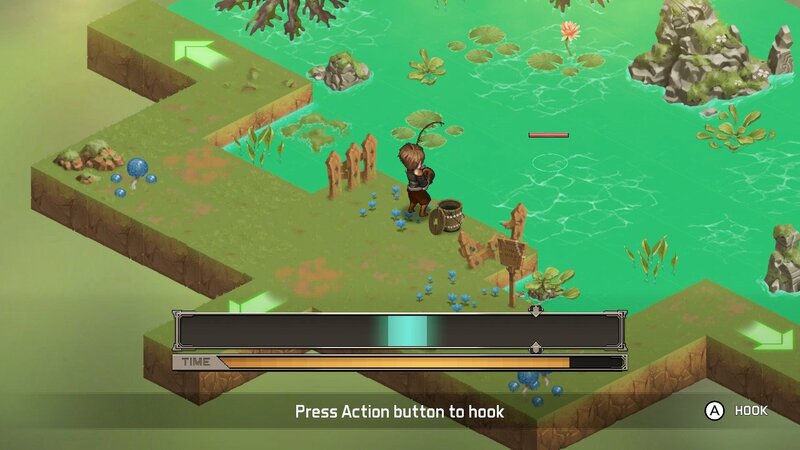 It gets the job done, and it does a generally better job of that than, say, the average Kemco RPG, but unless you’re a real fiend for JRPGs this may not be the best use of your time or money. It’s easy to tell this game was put together by fans of the sub-genre, and it’s almost as easy to tell where it draws inspiration from in many places. The story’s premise, which sees a couple of spacefarers crashing on a planet stuck in a decidedly fantasy-style setting, feels like an homage to Star Ocean. The combat system, with its focus on multi-character attacks formed by making the right combinations, seems to be a big tip of the hat to Chrono Trigger. It’s not cheeky about these references, nor does it feel cynical in what it’s borrowing, so it never comes across as thoughtless. Rather, it’s kind of charming in that you know that the people putting the ideas into this game likely love the same games you do. That charm is probably the most unique part of the game, however. Otherwise, it tends to color well inside of the lines in almost every respect. The isometric screen-by-screen exploration it uses is a somewhat unusual route to take, but hardly unheard of in the genre and not exactly put to interesting use here. Indeed, taking this kind of perspective leads to the usual issues of visual confusion with certain elements. Thankfully, there’s no platforming to be done here, but it’s not always easy to see the routes you have to take thanks to objects blocking your view. It’s not a major issue, but I could definitely see some people wishing they could just look around normally. In virtually every other respect, it feels like a game that has no particular intentions to take any risks. The battle system is a relatively straight-forward turn-based affair, and the plot, while engaging enough, is populated with the kinds of characters and story beats you’d expect to see in a game like this. And again, I have to stress that it’s not doing any of this especially badly, it’s just a little too familiar. As I made my way through the game, I wasn’t bored, but I did feel like if I put the game down I might very well never pick it up again. That all said, at the price it’s going for it’s certainly a decent enough choice for those craving a largely traditional JRPG-style game. It’s certainly a good mile better than any of Kemco’s games, and it’s actually pretty difficult to think of a similarly-priced game of this sort on the eShop that is as agreeable as this one outside of Phantasy Star. So if ten dollars is all you have to spend on an RPG for your Switch, Azure Saga may just be one of the biggest fish in the pond. It certainly makes me look forward to the developer’s future work in the genre, if nothing else. Based on the Japanese card game Daifugo, you may be familiar with President in its Western form, where it goes under a lot of (sometimes colorful) names. The rules here are closer to the Japanese game, so it may not be exactly the game you remember, however. 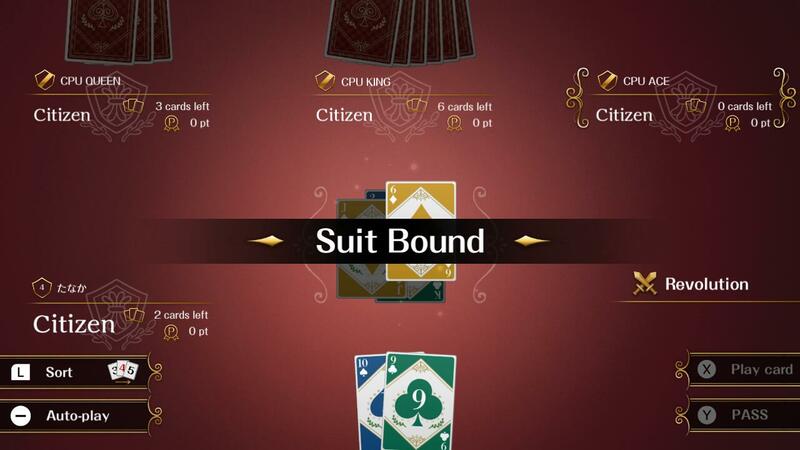 Anyway, players take turns playing the appropriate cards with the aim being to empty your hand first. If you do, you’ll be the President in the next round and get certain advantages. Come in last, and you’re the Scum. In this version of the game, you can play offline against CPU opponents or hop online to play against real humans. Not much else to it than that, but for five bucks, there probably doesn’t need to be. 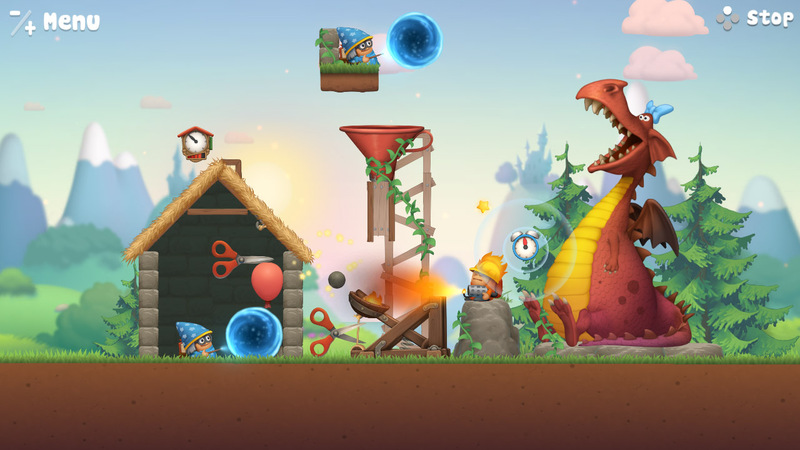 This is a physics puzzle game that is largely aimed at kids, and you know what that usually means. And yes, this did originally release on mobile, but it seems to have been reasonably well-received for what it is. 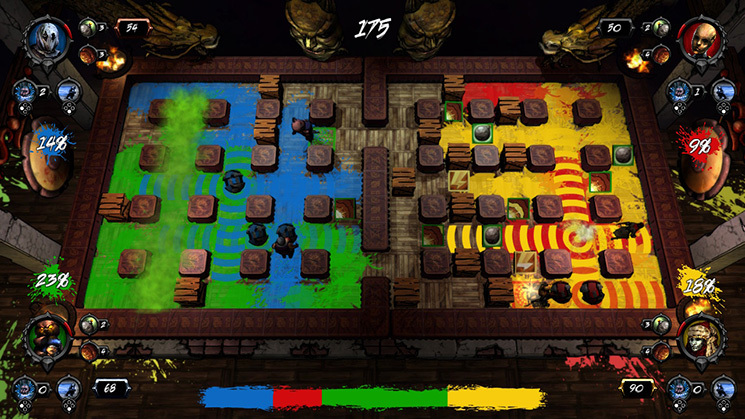 Up to four players can work together to solve the game’s puzzles by building and creating inventions, making this a good choice for a family to play together. I suspect if you don’t have the particular conditions for that scenario, this is probably not going to be all that interesting for you. Also, it’s more expensive than both the mobile and Steam versions of the game, which is Not Cool. It seems to be a fairly typical list of new sales at the time of this writing. A lot of games that go on sale seemingly on a regular rotation, along with a few newer games that are probably joining that club. The most interesting thing here is Battle Princess Madelyn, which I believe is on sale for the first time since its release. It’s a Ghouls ‘n Ghosts homage, but I haven’t played it enough to say whether it’s good or just decent. But it is at least decent, so that’s something. I’ll also call your attention to Mecho Wars: Desert Ashes, which is finally ending its discount period tomorrow. A couple of bucks is a very low price for what you get there, so make sure to grab it if you like strategy games. That’ll wrap things up for today, friends. But do be sure to come back tomorrow and check in, because we’re going to have a bunch of new releases to talk about. On top of that, the usual daily sales and news will be here, and if time allows I may even sneak in a review. We shall see. Anyway, as always, thanks for reading!